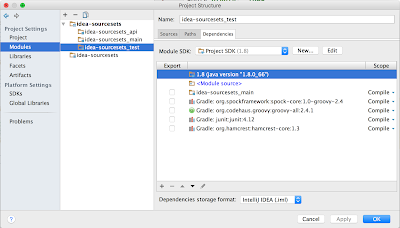 IntelliJ IDEA 2016.1 introduced better support for Gradle source sets. 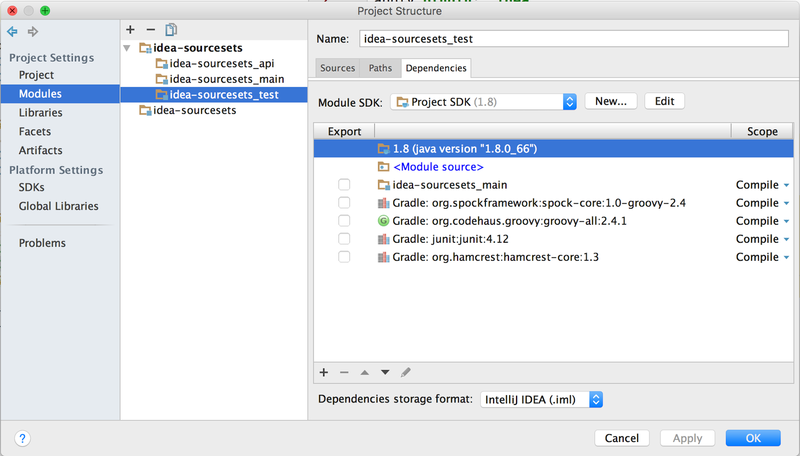 Each source set in our project becomes a module in the IntelliJ IDEA project. And each module has it's own dependencies, also between source sets. 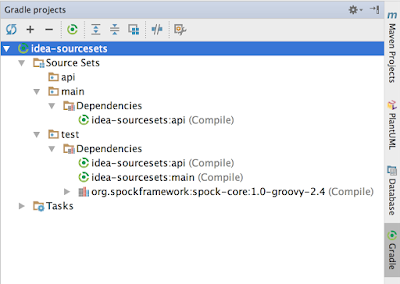 For example if we simply apply the java plugin in our project we already get two source sets: main and test. 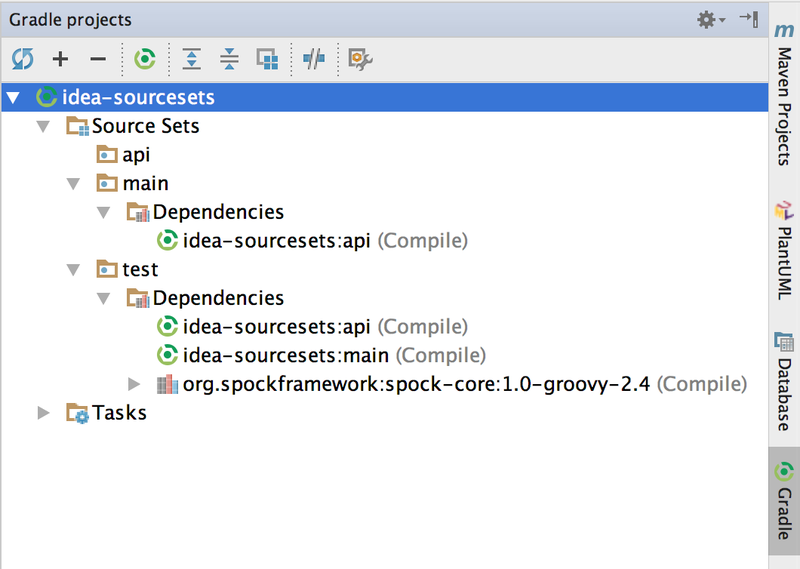 For compiling the test sources there is a dependency to the main source set. IntelliJ now knows how to handle this. Written with Gradle 2.12 and IntelliJ IDEA 2016.1.